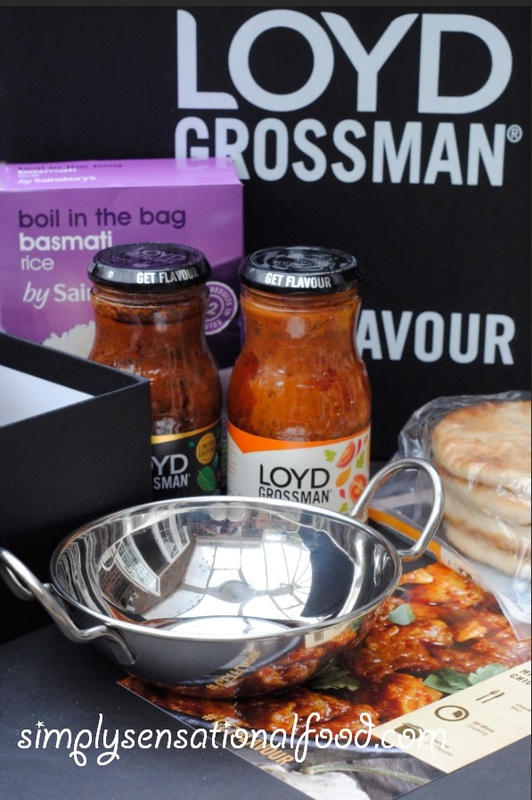 Recently, I was sent a Loyd Grossman hamper to create a recipe with. In my hamper there was a sample of Loyd Grossman’s Limited Edition Mint Masala gravy sauce, Tikka sauce, a recipe card, Loyd Grossman Naan Bread, boil in the bag rice, and a Balti dish. The new mint masala will be available in the shops from mid November, it a delicious aromatic Indian curry sauce made with a blend of spices, tomatoes, yoghurt and mint. It is perfect when you want to create a tasty meal in a short time. Being a vegetarian I choose to use my Mint masala gravy to create a lovely paneer (indian cheese dish) cooked with onions and capsicums. 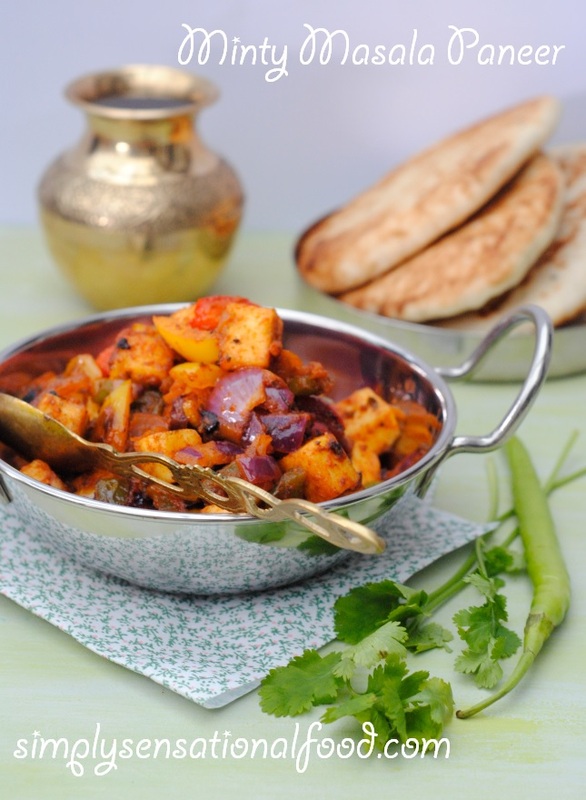 Succulent paneer cooked in an aromatic blend of spices in a minty masala sauce. 1. Heat the oil in a frying pan and toss the Paneer cubes in it for 3-4 minutes until they start to turn brown.2. Remove the paneer from the pan on to a piece of kitchen paper.3. To the pan add the onions and saute them until translucent. Add the peppers, green chilli and stir for 3-4 minutes until peppers slightly soften.4. Add the salt, lemon juice, and the minty masala sauce and stir fry for 2-3 minutes .5. 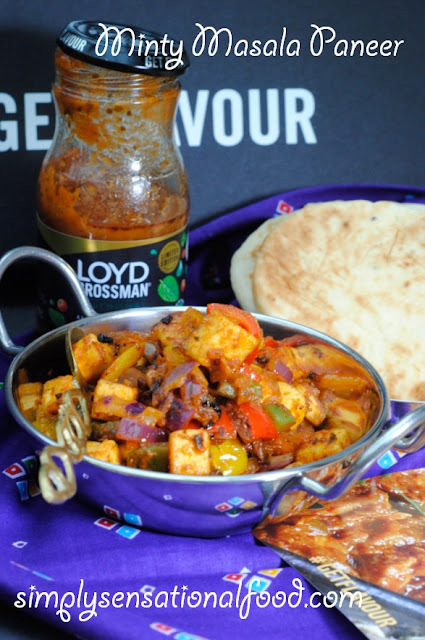 Add the cooked paneer and stir fry for 2-3 minutes.6.Transfer the paneer minty masala paneer to the serving balti dish and garnish with chopped coriander.Serve with rice and nan bread. This competition is open to UK residents only over the age of 18 .Please read the rules below . Mmmmm, this looks yummy! I was just deciding what to make for tea, so I think I'll pop to the shop, grab some ingredients and give it a go! This looks a lovely prize. Myself and my husband love Indian food so will definitely be entering! I like thai green curry! This looks lovely, there is a place in every cupboard for Lloyd Grossman!! You've made a lovely curry with those products, it looks very tempting. Indian Butter Chicken Curry - delicious without being too hot. Minty masala paneer looks yummy and inviting! I don't usually use prepared sauces but you do make it look quite delicious. Lovely photos. I love a lamb bhuna. Give me a tasty lamb tikka masala any time! I really like Beef Keema. I like a mild curry. Mine's a chicken madras! I do love a hot curry. Chick peas with paneer cheese in a rich gravy such as Makhani. I've been really enjoying the lamb, potato and spinach curry from the Hairy Bikers first 'diet' book lately but will certainly be picking up a jar of this minty masala sauce to try - it sounds delicious! chicken dhansak with roti or chappatis. Nom! Oooh, I love a Thai green curry. It has to be Masala. Yum!! I generally shy away from spicy curries, even though I haven't really had the opportunity to try any, so Chicken Korma is my favourite! Love a butter Chicken curry.